Pure flavour starts in nature. The best of ingredients, flavours, and aromas of the season, at the highest quality – these are what Angélique works with. As a master chef, she is renowned for her surprising cooking style and flavour combinations. Below, you will find an impression of dishes developed especially for low-temperature hot air balloon cuisine. All dishes are accompanied by sublime wines. We will gladly adapt to any special wishes or particulars of our guests. 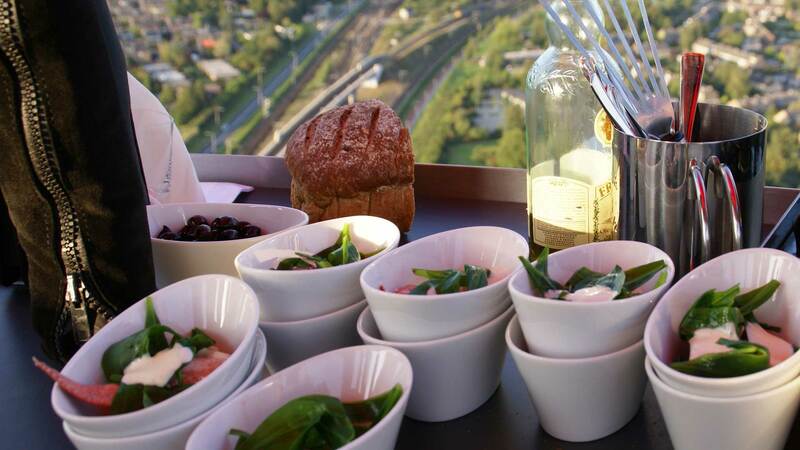 An exclusive sunset sensation dinner at star level, presented high up in the air by master chef Angélique Schmeinck.